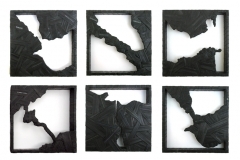 Choke is a series of wall-mounted box-like maps of global choke points- strategic locations where passage by land or sea is constricted. 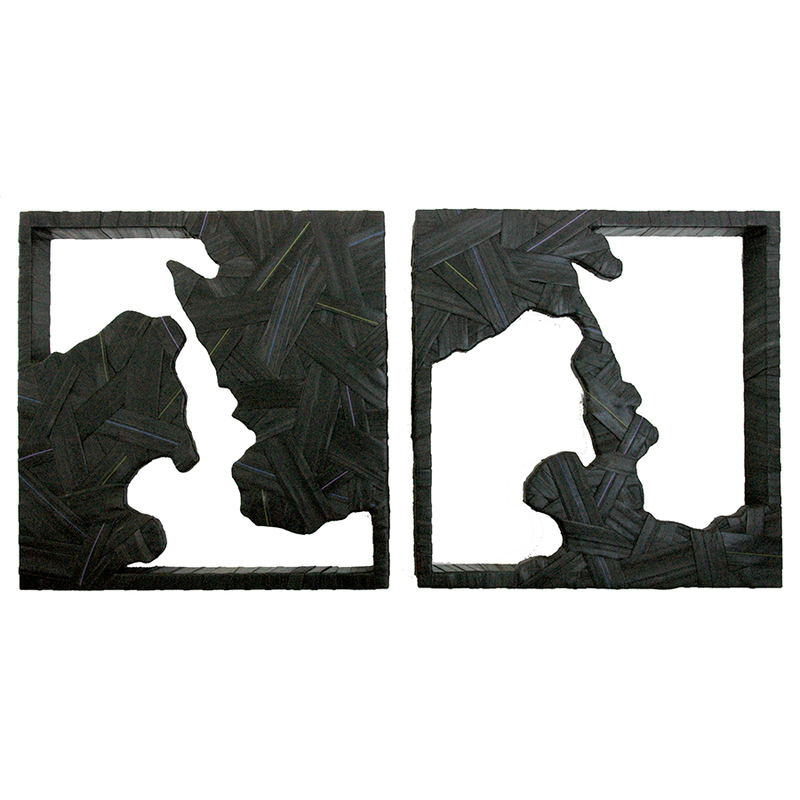 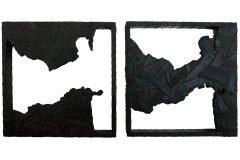 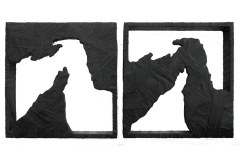 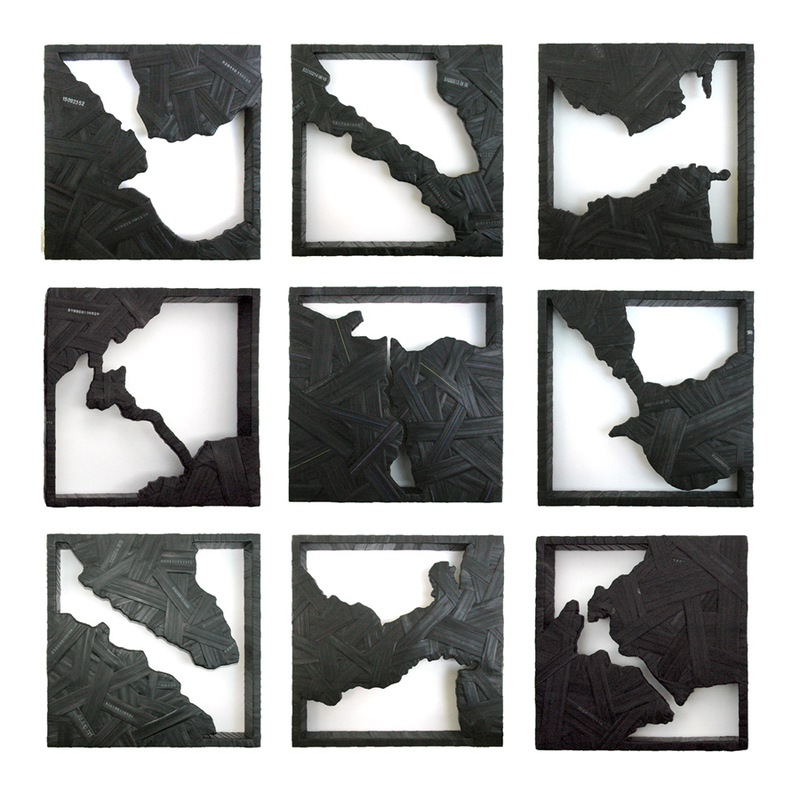 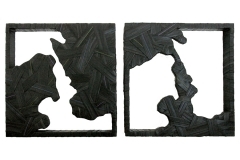 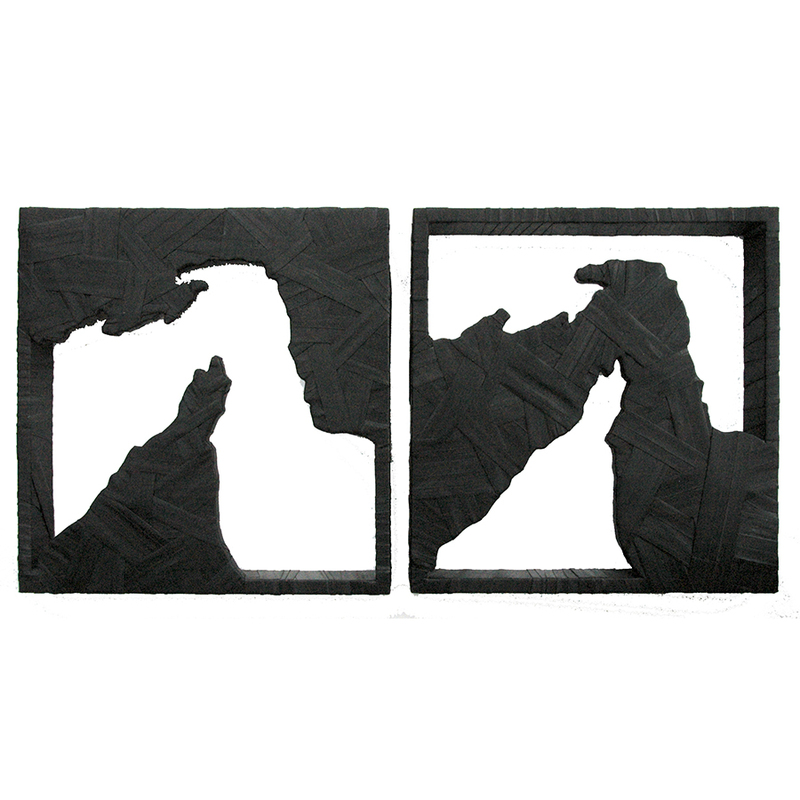 Presented as pairs, coastlines are depicted as alternating positive and negative cutouts, framed in a grid and wrapped with repurposed rubber (bicycle inner tubes). 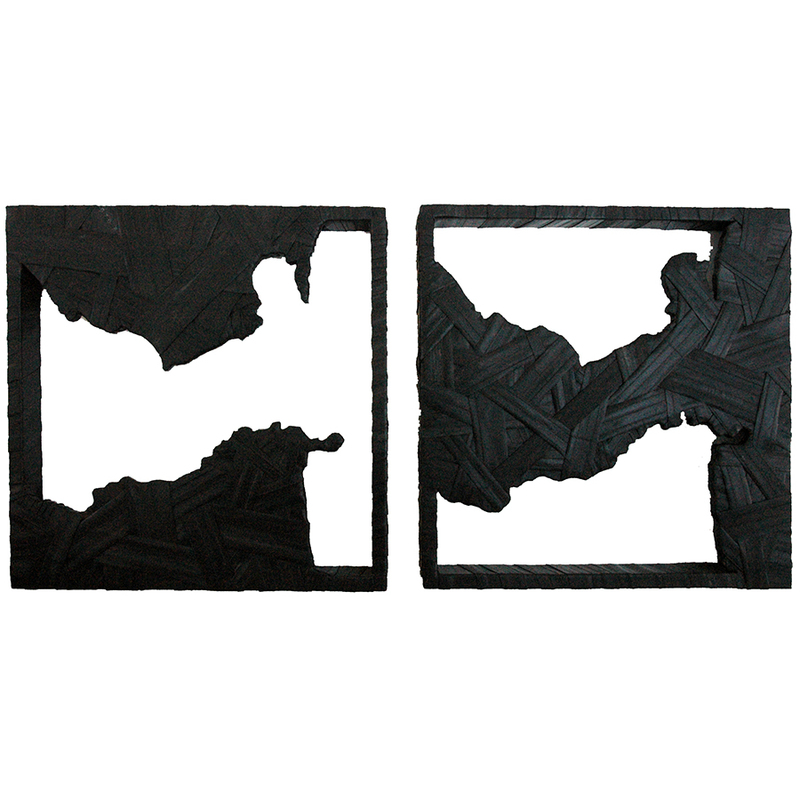 Shadows and negative space come into play with the stark structures.